Who knew drawing with colored pencils was this simple? Drawing with colored pencils isn’t anywhere near as difficult as you might think. In fact, it’s something you can master today with the right advice. And this new video course is packed with really useful tips and techniques to help take your art to the next level! 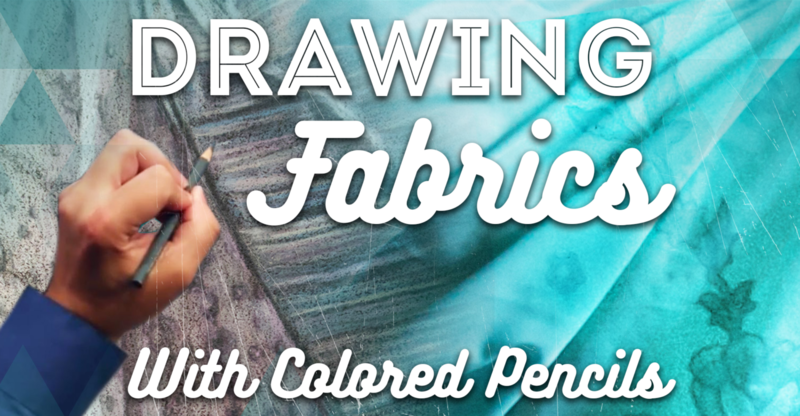 In this six-part course on drawing with colored pencils from award-winning artist, Shawn Falchetti, you’ll learn how to draw patterns and folds in fabric and clothing. As you’ll see, drawing with colored pencils is a fascinating way to create art you can be proud of. Before you know it, you’ll be making real progress and surprising yourself with what you can achieve. So, if you’re not a Pencil Kings member yet, why not take the first steps towards becoming a better artist today? Just click the button below to join us today. You’ll get instant access to our free face drawing course to help get you started! Want to Take Your Art Further After This Video Course? Pencil Kings is all about your art journey. So, once you’ve mastered drawing with colored pencils, why not share your art with us on our Community page? You’ll also find a supportive network of artists just like you! Get involved and be inspired! Oh, and feel free to ask us any questions if you get stuck – that’s what we’re here for. Has this course on drawing with colored pencils helped you get the results you’ve been looking for in your art? Why not click here to Tweet it and help someone else get the best from their art?